JPC CEO Eric Brown Speaking on Capitol Hill about Domestic Violence. Click the photo to read the article. Recap of JPC’s Trip to Washington with our winning Shero! There is so much to tell you and time has moved so swiftly we hardly had time to stop and blog about it! Johnson Products’ signature brand Gentle Treatment,® launched an initiative about Domestic Violence three years ago. The past two years we have been selected Sheros who were nominated by friends and co-workers. This year, we selected one Shero to travel with us to Washington DC. Her name is Lisa Baldwin Miller, founder of the Wonderfully Made Foundation in Oklahoma City, OK. We were going to Washington DC to sponsor and testify before a Congressional Hearing –the first of its kind on the effects Domestic Violence has on children, in coordination with the National Coalition Against Domestic Violence and the Makers of Memories Foundation. Our CEO, Eric Brown spoke for the company and lauded Lisa for her work with her DV shelter, her public outreach to bring awareness to this issue which we learned at the hearing that there is only 2% public recognition about this issue! We’ve got work to do! Congressman John Conyers was present as was Congresswomen Gwen Moore and Sheila Jackson-Lee. The panel consisted of many survivors, including celebrity spokesperson Norwood Young, April Hernandez Castillo, 14 year old Ariel Berrean and Jennifer Collins. The following day, Lisa accompanied Renee Brown, Executive Vice President of Sales and Marketing to Bethany House of Northern VA where they toured their shelter and presented them with a $25,000 five-year grant. Lisa says she was treated like royalty. She ate at fine restaurants, including B. Smith’s at Union Station, then went to the King Memorial. 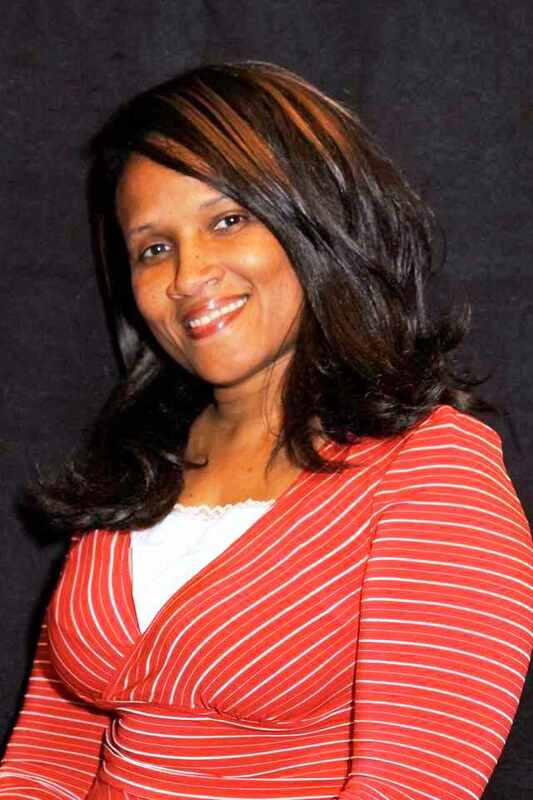 You can hear Lisa’s story as well as other excerpts of testimonies on Sunday Morning-Live Oct. 16. If you are reading this after that day, still click the link as the show posts immediately after airing: http://tobtr.com/s/2352699. You can also fast forward to the second hour of the show to hear these testimonies. They are powerful. To view Bethany House Check Presentation, click here. Around Johnson Products Company, October is the month we encourage abusers: No Excuse! Stop the abuse! On our website, people nominate Sheros–women who (s)heroically work to pluck women out of abusive situations because they feel they have nowhere to go. Soon, we will select one Shero from those we’ve posted to fly to Washington DC for an impactful congressional hearing. You can read their stories and hear their interviews. Visit www.JPCNoExcuse.org. There you will find a resource page with links to experienced organizations that will help you or the ones you love flee to safety because we have learned that there is a way to leave for your safety and the safety of the children and the families. Johnson Products Company is a heritage hair care company targeted toward African-American women with a new line for men–Ultra Sheen Men. Remember! We are not to be confused with Johnson & Johnson! Join us this Saturday! Print this voucher, grab a couple of products at the Walmart in Union City and get a free haircut and the opportunity to take a pic with NBA Superstar Carmelo Anthony. 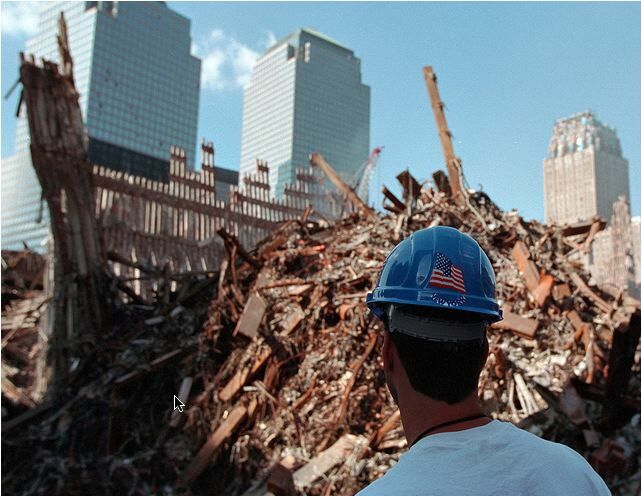 10 years later: What Have Eric and Renee Brown, 9/11 Survivors–Been Up To? Eric went cheering around the house. We felt he took so many innocent lives that justice had finally been done. Normally, I don’t feel that way because I don’t believe in an eye for an eye, but innocent people were going to their everyday jobs minding their own business and terrorists decide to take their lives away from their loved ones. That was devastating. But now I am concerned about retaliation. What have Eric and Renee been doing in the last 10 years? After we left Alberto Culver (which purchased Pro-Line) I did some consulting.Two friends and I started a small start up natural hair care line called Nature’s Essential Ingredients. 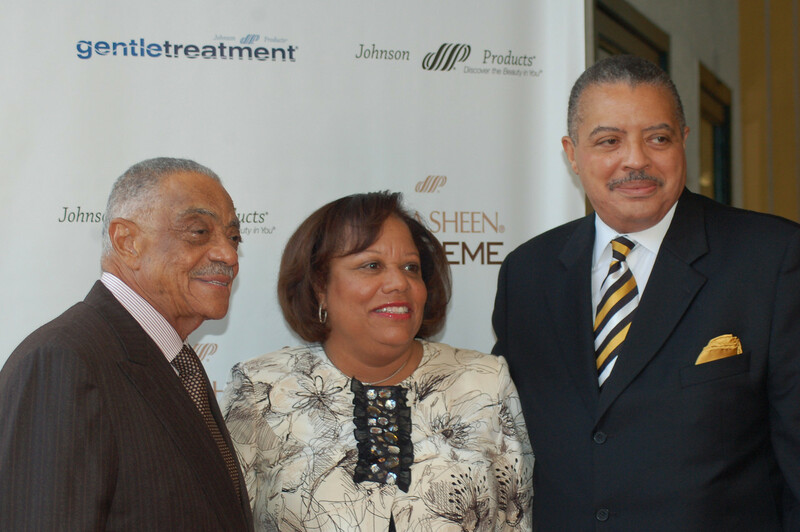 In 2009, my husband, along with some investors in CA acquired Johnson Products’ Gentle Treatment and Ultra Sheen brands and brought them back to the community. I became Executive Vice President of Sales and Marketing, so I am very busy these days. Thanks to Johnson Products, we are back to philanthropy–being able to give, which from the heritage of my father’s company, Pro-Line, is something that is inbred. Without the community there is no reason for these hair care companies. They are the base. If they don’t buy there is no company, so we know how important it is to give back. We donate to various causes, but in the case of Johnson Products, we thought it was very important to give back in an area that is somewhat neglected. One in 4 women is abused in the country, and that total number is very much more than those lost in the World Trade Center. We have a brand “Gentle Treatment” which resonated with this issue. Early on, we founded Gentle Treatment’s No Excuse! Stop the Abuse! 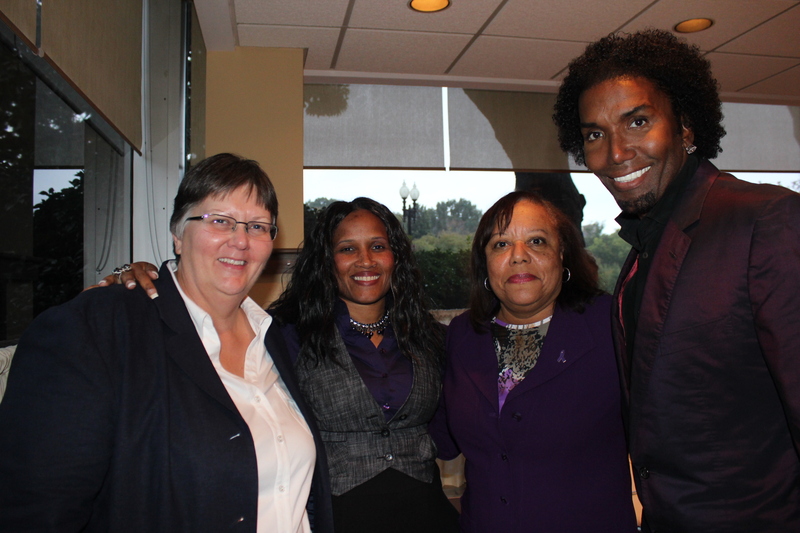 Domestic Violence Initiative. This is our third year working on this issue. We started in Chicago then Dallas and this year we are on our way to Washington DC, where we will co-sponsor a congressional briefing on federal domestic violence support for children and women in association with the National Coalition Against Domestic Violence. Our plant is located where African-Americans, Latinos and whoever uses our products can work. We could have located JPC anywhere but we wanted the company to be in the distance of a bus ride. Watching some of the media, you’d forget African-Americans were there. Many lives were lost, of all hues, and there are survivors of all hues, African, Latino, Asian, and Middle Eastern American citizens who are doing good things for our country. If we don’t tell out stories for ourselves, who will tell it? Was there anything you left behind you really miss owning? It was all pretty much material. I got my purse, which had my credit cards which could help me move forward. I lost a $25,000 watch but who cares when it a matter of you saving your life? I would have gave up 10,000 watches if I could have helped save some of those people who perished. 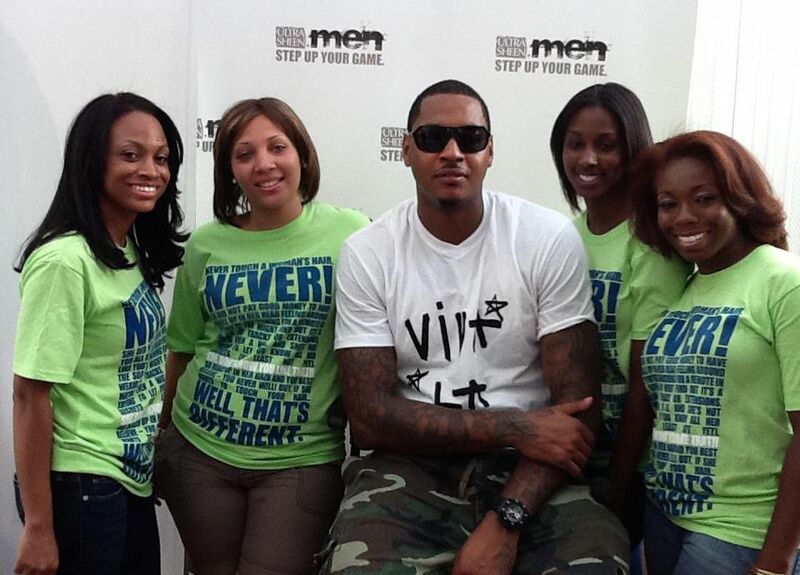 Carmelo Anthony and Ludacris team up for Charity at Luda Day Weekend. Ultra Sheen Men showcased at Clark Atlanta University. 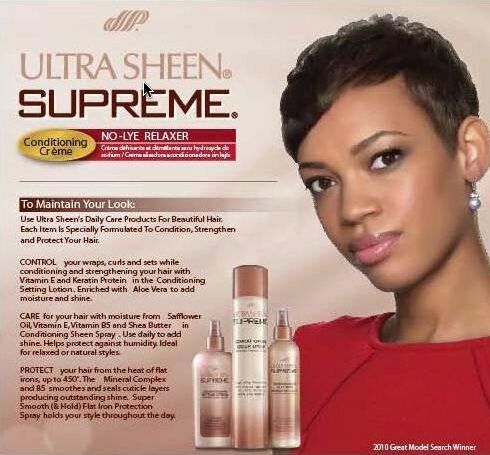 “Since winning The Great Model Search just last year, I had the opportunity to share my story in Detroit among family and friends as the newest face of Ultra Sheen Supreme. Seeing my face in stores like Walmart, Walgreens, and Sally’s has been a rewarding experience. 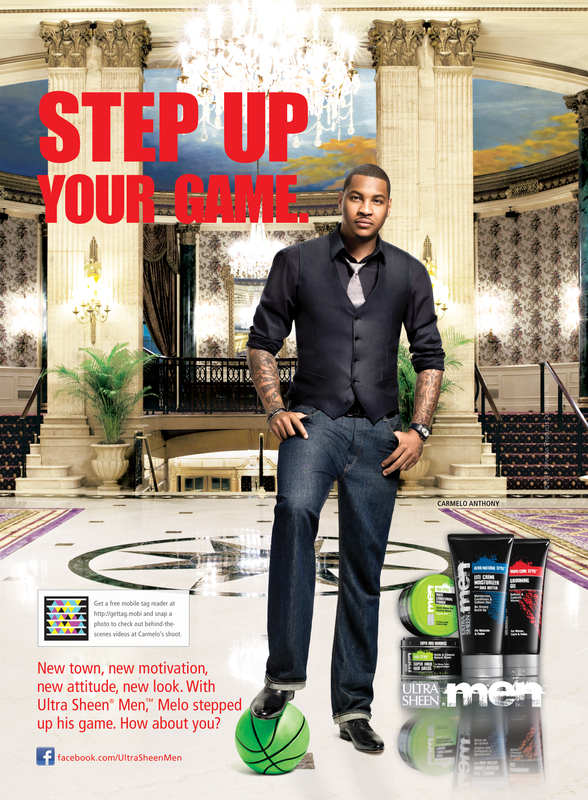 TGMS opened up more doors for me to pursue modeling opportunities. I’ve met amazing new friends who invited me to Lala Anthony’s ‘Full Court Life’ reality show premiere party at the Mark in LA. The night started out with delicious drinks like signature cocktails named after Lala and Melo.The release party gave guests a sneak peak of Lala’s show which airs Mondays on VH1. 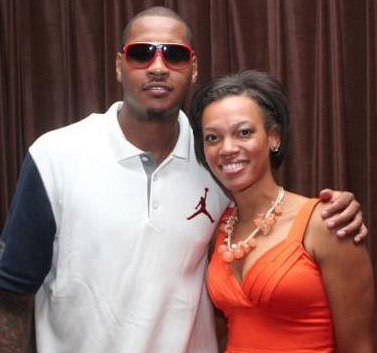 Some of the celebrity guests were Serena Williams, Snoop Dogg, Hill Harper, Tyrese, Gabrielle Union and one celebrity that I had something in common with, Carmelo Anthony. As the one of the faces for Ultra Sheen, we immediately sparked up a conversation about our common ties with Johnson Products. 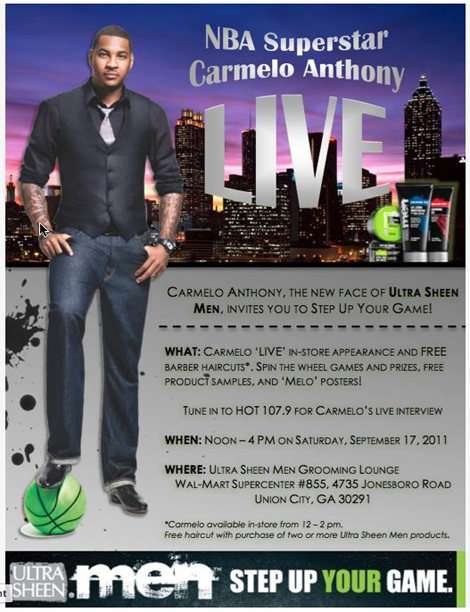 Carmelo was very friendly and excited to share his details for his upcoming plans as the new face of the Ultra Sheen Men’s line. Then we snapped this photo!